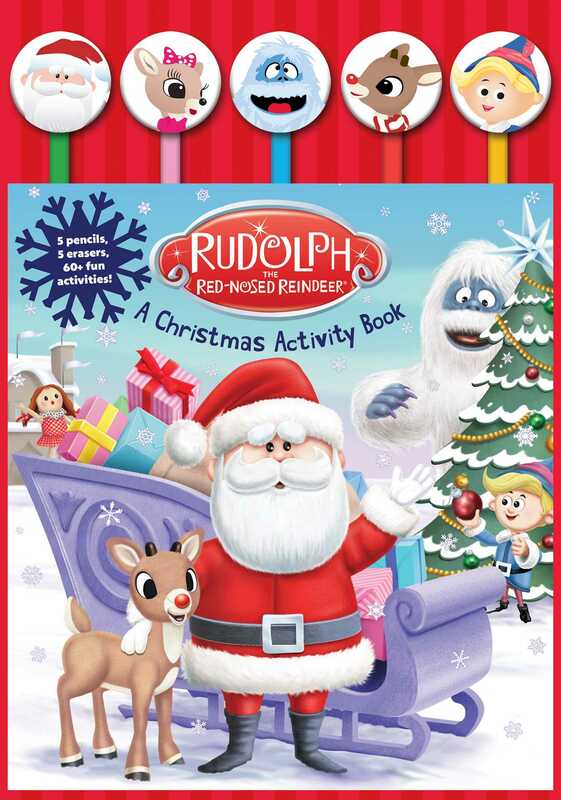 Enjoy 64 pages of activities featuring five pencil toppers with characters from Rudolph the Red-Nosed Reindeer! Fly over the snowy North Pole, visit the Island of Misfit Toys, and run from grumbling Bumble in this fun activity book based on the Christmas classic, Rudolph the Red-Nosed Reindeer. With coloring pages, word scrambles, spot-the-differences, and five colored pencils complete with pencil toppers of your favorite characters, this is a fun and festive holiday treat! Jim Durk grew up in Bay Village Ohio, and received a BFA from Ohio University. After working in the advertising industry in Chicago, he returned to his hometown and worked in the children’s publishing industry on favorites such as Thomas the Tank Engine, Clifford the Big Red Dog, Clifford Puppy Days, The Rugrats, The Wild Thornberrys, The Magic School Bus, Little People, Dr. Seuss’s Cat in the Hat Learning Library, and much more!